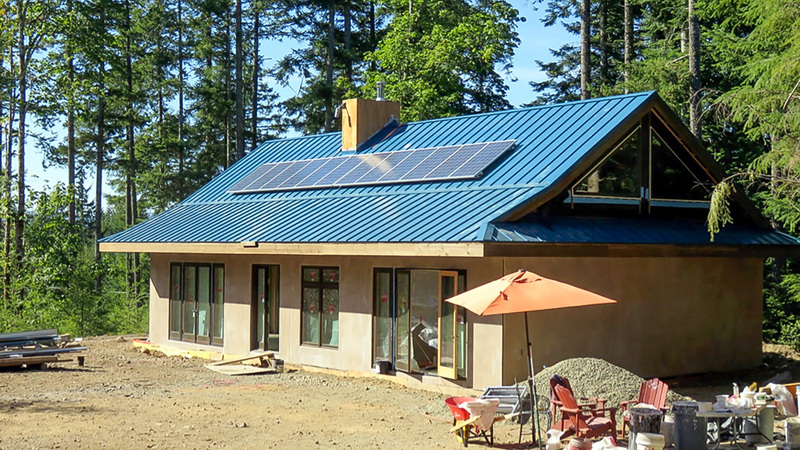 In the spring we built a temporary solar PV installation that allowed for the building of the home with minimal to no generator use. This system has powered the entire construction site up to this point. Now the roof is completed and it is time to relocate the system. The solar array was dis-assembled and relocated to the roof and doubled in size. 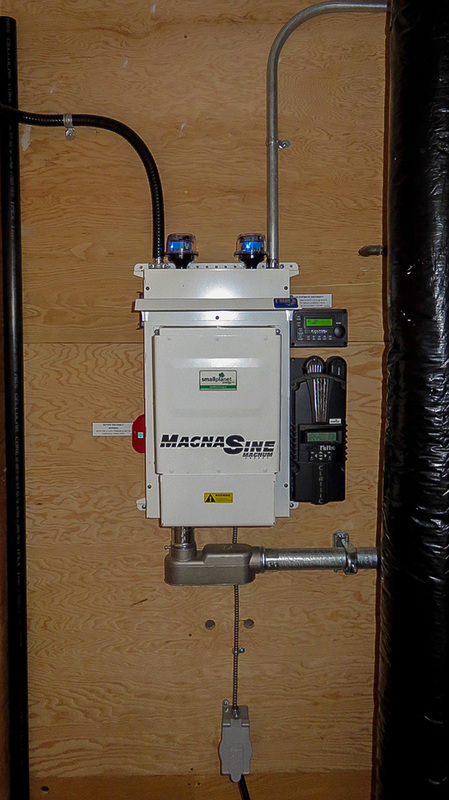 The batteries, inverter and electrical panel were moved to the electrical room and installed in a permanent manner.